Acheron Hades has been kidnapping characters from works of fiction and holding them to ransom. Jane Eyre is gone. Missing. This is a book I've been meaning to get to for ages and finally I've made it. Let me say first off that it was well worth the effort - this is a ripper read. I loved the premise of the story and enjoyed its zany twists from start to finish. The plot is great fun and moves at a good pace and the characters are engaging and memorable. 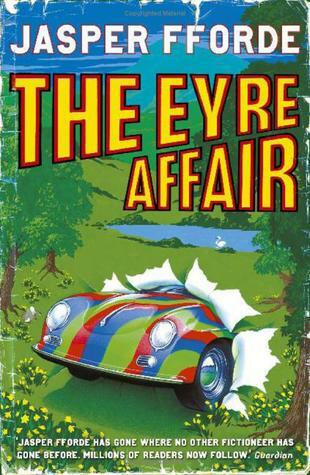 Fforde has a wonderfully quirky sense of humour and the book really put a smile on my face. The literary in-jokes are amusing as are some of the character names. This is certainly a book for literary fans with a sense of humour. I would happily recommend this to anyone looking for a light, fun read and I shall definitely be picking up more books by Fforde in the future. My favorite book by him is easily "Shades of Grey." All of his books are pretty fun to read, but SHADES is a dystopian that is so well thought out that it blows my mind. Thanks for the recommendation; I shall certainly check it out!